I met Bono, the Edge, and Adam Clayton back in 1983. We had a chat for 10 minutes or so in what was then the TV Club in Harcourt Street in Dublin. I had no clue who they were and I’m sure none of them remember meeting me. I was singularly unimpressed with yer man then and not much has changed in the intervening years. When I think of U2 now and play a word association game in my head, the ones I care to mention that come to mind are Boy, War, and Joshua Tree. Yet if the 64 million dollar question had asked me to describe a Joshua Tree, I’d have gone home penniless. I didn’t know it was an evergreen that could grow as high as 40 feet, 2 to 3 inches a year, and take 50 to 60 years to mature. So if their ’21’ is 60, it’s not surprising that they can live 150 years. 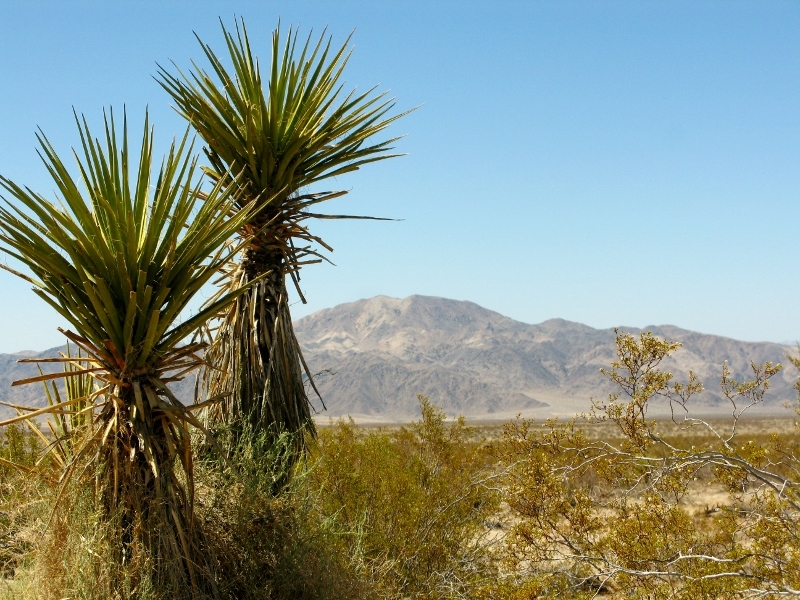 Growing only in the Mojave desert, they have an exclusive pollination agreement with the Yucca Moth, who has evolved special organs to collect and distribute the pollen onto the surface of the flower. She lays her eggs in the flowers’ ovaries, and when the larvae hatch, they feed on the yucca seeds. Adds a whole new slant to the chicken and the egg debate. Curious, I couldn’t resist a detour through Joshua Tree National Park, an area in California that covers about 1,234 square miles. But the song that buzzed in my head wasn’t anything from the album of the same name but rather The Fall, by the Black Lillies and that line where he talks about flowers being so rare in the desert. 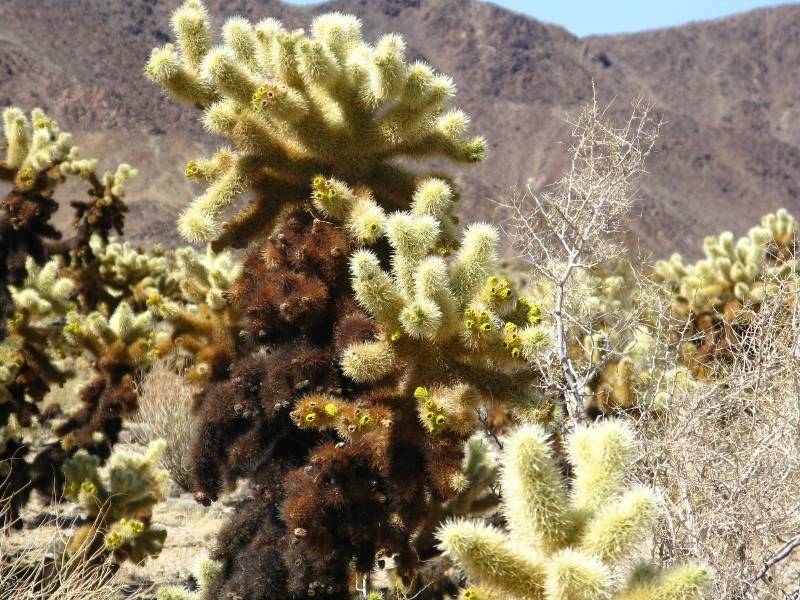 And yet, all around us, the Mojave desert was blooming. Admittedly the colour palate was pretty short on pastels, but it was beautiful for all its sameness. 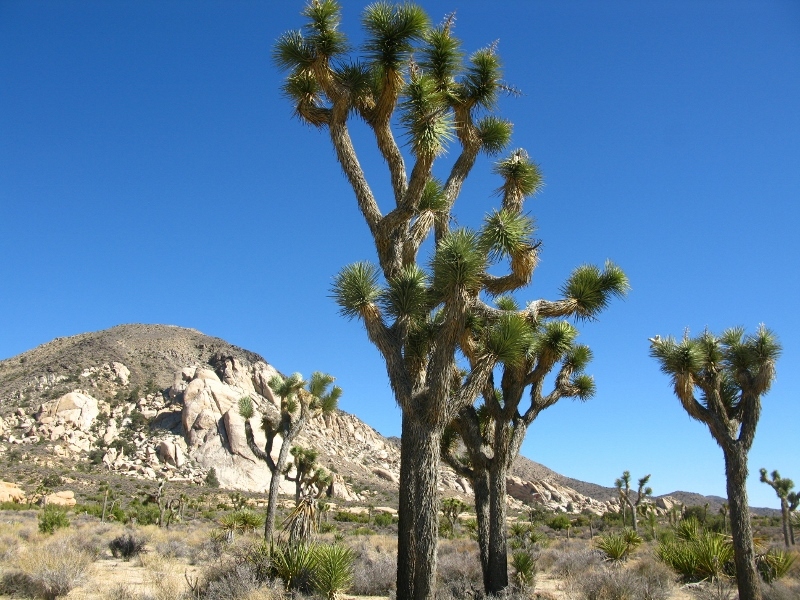 Declared a National Monument in 1936, the Joshua Tree National Park wasn’t designated as such until 1994. When stopped to buy our pass, the ranger on duty, hearing that we weren’t exactly from around those parts, gave us a lecture on the dangers of dehydration and the record-breaking temperatures expected. Now, I believe that I’ve been in a state of constant dehydration since I was born, a fact reinforced by every beautician who has ever given me a facial. Cream of any sort soaks into my skin in a matter of milliseconds, no matter how much water I drink, yet even I was surprised at how many litres we put away on the two-hour detour on the road from Sedona to Palm Springs. 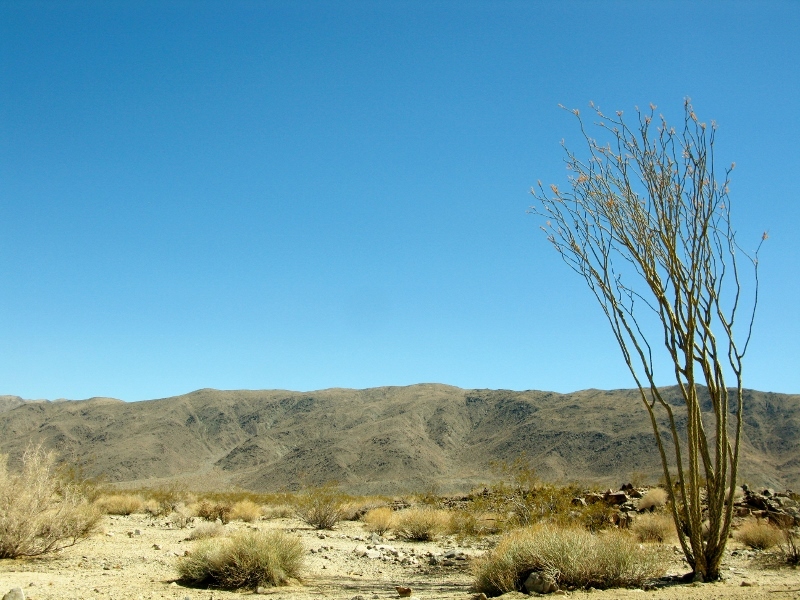 Dehydration aside, though, I was once again mesmerised by the desert landscape and the variety of what’s on offer. Apparently 250 different species of birds have been spotted here, including the Roadrunner, but he must have had a casting call that day. If ever you want to feel how insignificant we homo sapiens really are, spend a few hours in the desert. It simultaneously reinforces both the tenacity and the fragility of the human spirit. And if you’re a solitary soul, the sense you get of being alone on this planet is one to treasure.